It's that time again for The Thrift Store Upcycle Challenge on the fourth Thursday of each month! Here, a group of creative bloggers come together to share their lovely transformations of a thrift store item. Who doesn't love thrift store upcycle projects - whether it's actually creating one or admiring how an item from a thrift store was transformed! One of the fun things about shopping at thrift stores is that you never know what you're going to find that day - like this embossed aluminum tray ($3) and a tumbler ($1) that actually matched - omg, just by luck! The guy at the checkout said the tray looked like a giant soda cap - I guess because of the curved ridges! Too funny! Anyway, my idea was to combine the two items into a lovely decorative accent piece or accessory using napkins to decoupage onto them. Perfect to hold just about anything you can imagine - like appetizers, baked goods, decorative fillers, or holiday knick-knacks, to name a few! Let's get started by cleaning and washing the tray and tumbler with mild dish detergent like Dawn to remove grease and or stains and dry. Then separate the design layer of the napkin from the plain white layers. To separate, I lightly dipped my finger in Mod Podge and tap my thumb and finger together, placing the corner napkin edge between them to separate the layers. Then lay the napkin design down on the outside bottom of the metal tray for fit. Since the tray is round, cut slits around the bottom of the napkin for a smoother adherence. The napkin doesn't quite cover the bottom, but I'll work on one piece at a time. Next, apply a layer of matte Mod Podge onto surface. Place napkin on top smoothing out from the center to edges using a soft brush.. Apply additional MP while smoothing out wrinkles. I like to dip my finger in MP to also help smooth out wrinkles, too. Sometimes I use plastic wrap to help smooth wrinkles out but this napkin seemed too thin and would probably lift up or tear, so I didn't use it this time. Also, since the napkin didn't cover the bottom completely, after the first portion of napkin dried, I matched up the pattern with an additional piece of napkin covering a little bit on top and on the side, and let that dry, too. The best part, you can't tell where it was pieced together! Once the napkin was completely dry, it was easier for me to cut off the excess napkin using scissors first before using sandpaper on the edges. And finally, apply additional layers of Mod Podge to seal. Next, decoupage the tumbler following the same steps, as before. And don't forget to seal the tumbler with additional layers of Mod Podge, too! The tumbler edges seemed too narrow for a good seal so it was easier to glue the bottom of it onto the center of the tray. I use DAP RapidFuse Adhesive to glue the tray and tumbler (stand) together. It sets up in 30 seconds and has a permanent seal. Hot glue does not! Don't you just love how the metal shows through the floral napkin - as if the flowers were handpainted on! Too cool! What a lovely thrift store find transformation! I am a participant in the Amazon Services LLC Associates Program, an affiliate advertising program designed to provide a means for sites to earn advertising fees by advertising and linking to Amazon.com. This post also contains affiliate links. I may receive a very small commission. It does NOT result in additional charges to you or cost you anything extra. The affiliate money I earn per month helps pay my crafting expenses. Thanks so much for your support! 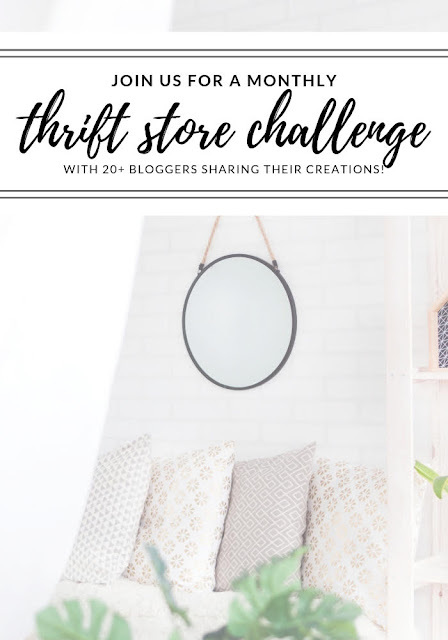 Check out more thrift store challenge creations! Welcome to the April Pinterest Challenge Blog Hop hosted by Erlene @ My Pinterventures. 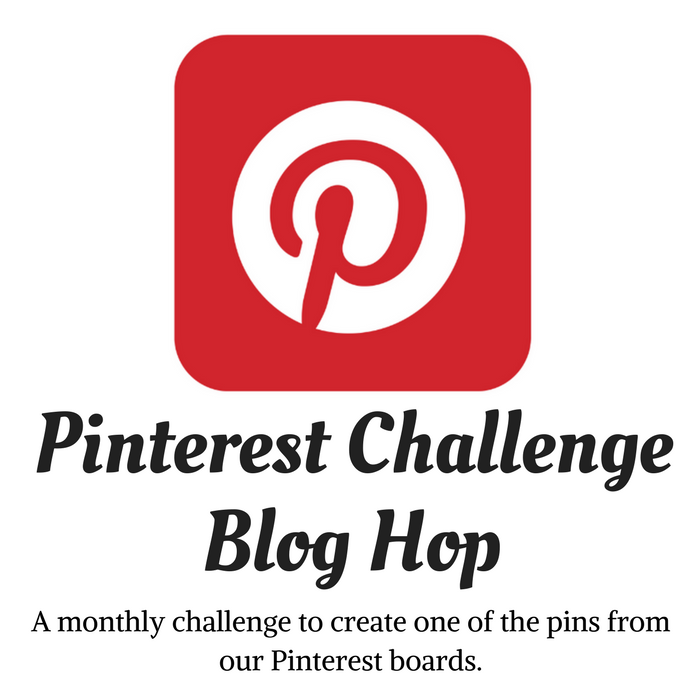 If you aren't familiar with the Pinterest Challenge, it's a monthly event that challenges us to not just be pin hoarders, but to make it happen! I try to be very selective when I pin a craft and not go willy-nilly pinning everything I come across. After all, I truly like what I pin and am very interested in trying to make a version of it one day. 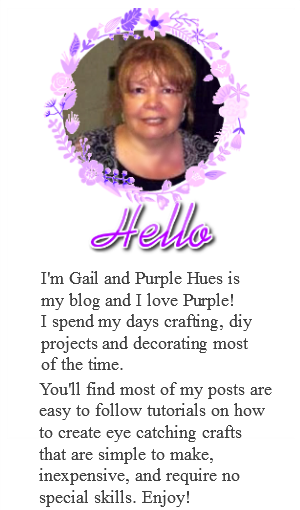 Everyday I look at my stats on Blogger to see which of my posts are popular and I noticed anything I made with jute, twine or burlap continues to have the highest pageviews. So naturally I'm always looking for interesting crafts that uses these materials. I came across this video sometime ago on Pinterest that actually uses a spoon to make twine petals to form a flower. Amazing! There is no talking - I believe it's foreign and I was fascinated watching the video. I knew I had to try making it one day! That day has come, and the best part, I had everything I needed to make one in my stash! I'm using what's call a soup spoon, but you can use any size spoon you like! Just keep in mind, the bigger the spoon, the bigger the flower and vice versa. First, spread a generous amount of tacky glue around the edge of the spoon bowl. Then take the end of twine and place it on the bottom center of the back of the spoon bowl where the handle meets and hold it in place with your finger. Begin wrapping the twine around the edge of the spoon . . .
adding tacky glue on the spoon as you wrap. Use plastic tweezers to keep the twine rows together and flatten them down into the glue. Continue wrapping the twine around and adding glue to the spoon until it is completely covered. Cut off excess twine when you reach the center. Dab extra glue to center twine to hold down. Then, wait a few minutes for glue and twine to set up. Next, lift wrapped twine petal from spoon being careful to keep it together. Lay the petal on parchment paper to dry with the spoon touching side facing up. Make several more petals - five to six per flower. I thought I could make lots of petals to make more than one flower, but found making petals to be quite time consuming. Unfortunately, I had several projects going on at the same time so one flower is all I could do at the time. Make a small pom pom with yarn for the flower center - by wrapping yarn around two of your fingers . . .
and tying it off with a small piece of yarn . . .
then cutting the loops in half. Fluff and shape pom pom. Attach with hot glue to floral stem wire that is folded in half together and wrapped with floral tape. To form the flower, add hot glue to base of petal and squeeze together like a scoop and let dry. Once all the petals are formed, begin hot gluing on, one by one, to the floral stem wire and bottom of the pom pom. Make sure the bottom sides of the petals are touching and glued together as you add each petal . . .
until the flower is formed. Makes for quite a unique and fabulous look, don't you think! Now to make lots more! A big THANK YOU to everyone who joined us in welcoming Spring this year! There were so many wonderful projects, ideas, creations and inspirations shared! Today the co-hosts are featuring some of their favorite posts from the party! And we hope you'll visit each one to check out all of their features, too! 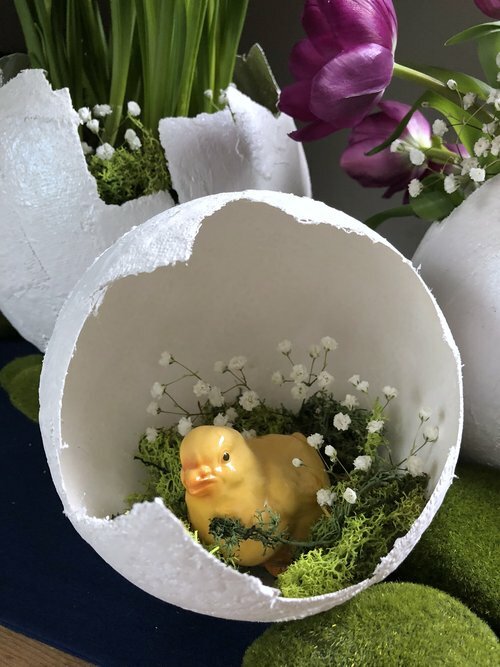 I was so excited to see Andrew & Dennis linking up their adorable plaster egg vases tutorial here on our Welcome Spring Link Party! They're celebrities of sort on one of my favorite shows, The Chew! Oh how I'll miss The Chew, but you can follow and see the Crafty Lumberjacks anytime! Be sure to check them out! Next, Kristie @ Love My Little Cottage, shared her wonderful painting technique from the '90s in her creation of the Hand Painted Easter Egg Garden! What talented skills! And Sandra @ Hakelfieber crochet an Eggster Bunny - how cute is this play on words! So adorable - and the bunny is too! Please stop by and see how she made him! 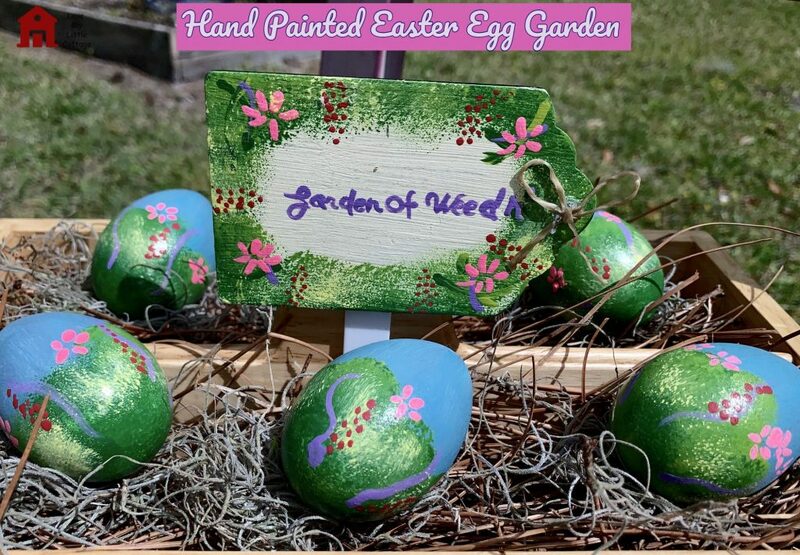 And finally, Julie @ My Wee Abode shared how to make fabulous Velvet Easter Eggs in beautiful colors! I love that Julie researched and found no one had a tutorial on making velvet eggs so she jumped at the chance! Check out her easy to follow tutorial on making these beauties! 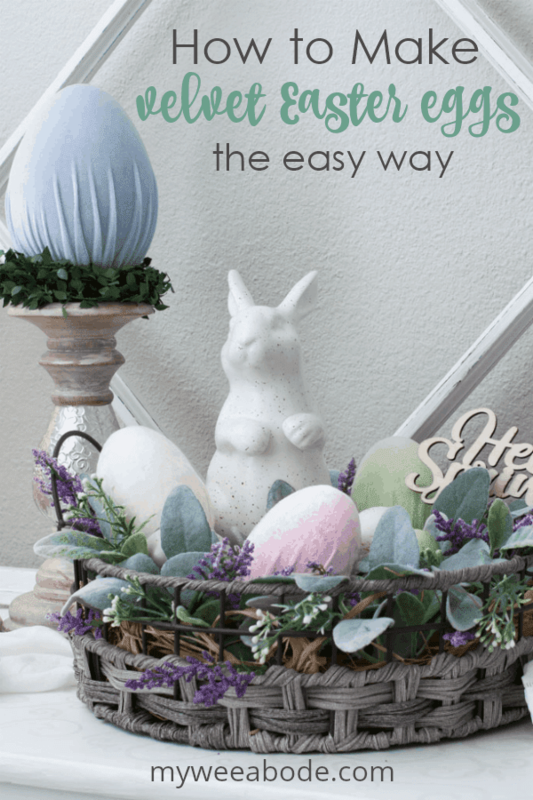 Thanks again to everyone who joined us in our month long Welcome, Spring Link Party Be sure to join us on May 28th for our Dollar Store Project Link Party! It's guaranteed to be inspiring! my stash! Including purple rope cord! I don't see rope in purple very often, so I had to snatched it up - with not a clue as to what to do with it - until now! You might also guess that I like to wrap things - presents, ribbon, jars, etc., to name a few! And now a vase! I got the idea of making a vase from wrapping plastic eggs. Sometimes ideas just hit you! Bam!!! 1. 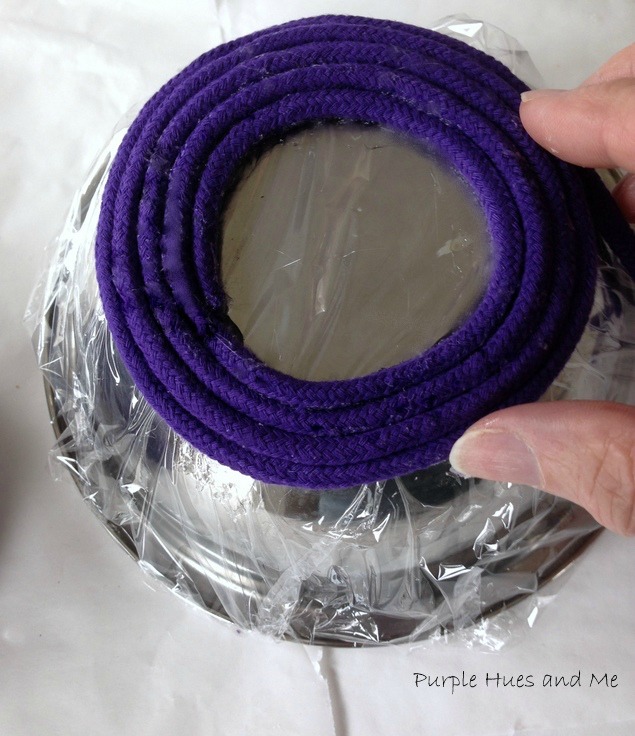 Cover two small metal bowls (Dollar Tree) with cling wrap, smoothing and tucking ends under. Then mark in the same place on the plastic wrap bowls where you want to stop wrapping the rope. 2. 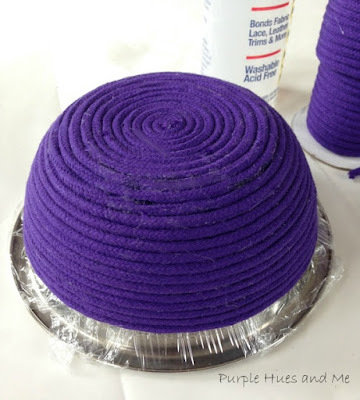 Place a generous amount of fabric glue on the center outside bottom of bowl and begin twirling the rope around the bowl. Apply fabric glue along the base of the rope as you wrap. 3. Continue wrapping the rope and adding glue, following the outline of the bowl. 4. Be sure to wrap the rope as close together as possible, while keeping the rows evenly pushed together. Stop wrapping where marked, cutting rope at an angle to blend in and adding glue to secure to previous row. 5. Let rope dry on bowl for at least an hour or two even though the glue is a quick dry before removing from bowl. 6. Gently remove cling wrap from rope. 7. For the second bowl, allow space for the vase opening before beginning to wrap the bowl as before as with the first bowl. Only this time, cut rope end at an angle first, glue down and start twirling around bowl, blending in with the next row. 8. Continue wrapping and gluing as before, ending where marked. Let dry and remove the rope from metal bowl. 9. To connect the two rope bowls together for the vase - place the open bowl on top of the closed bowl, adjusting fit, then apply a generous amount of fabric glue around the top edge of the closed bowl. 10. Place the open bowl on top, adjusting fit and using plastic tweezers to pinch the two bowls together. holding in place for a few seconds to secure as you move around the edges. 11. Let the vase dry completely for at least a few hours or more. Clean up any areas where there might be excess glue showing. What an adorable handcrafted decorative rope vase! 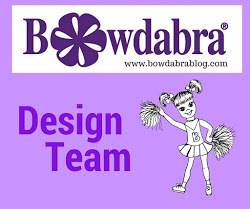 I've joined a group of bloggers who are challenged each month by Megan @C'mon Get Crafty to create a new craft or project from their own stash of goodies! 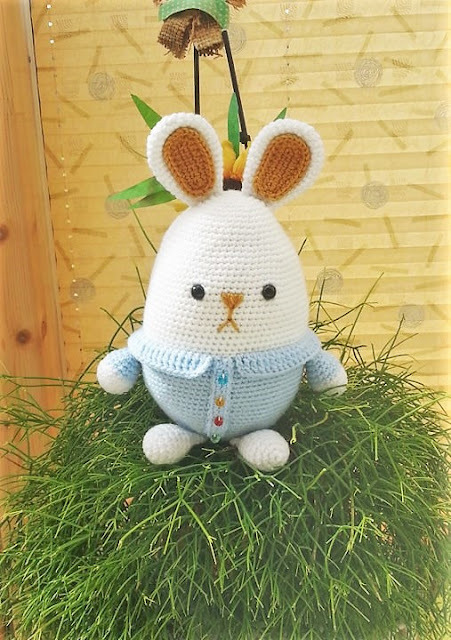 Check out these awesome creations you might be able to make from your own stash! Everyone is allowed a $10 max to create a new craft utilizing mostly their own stash of craft supplies! What crafty creations could you make today from YOUR craft stash?